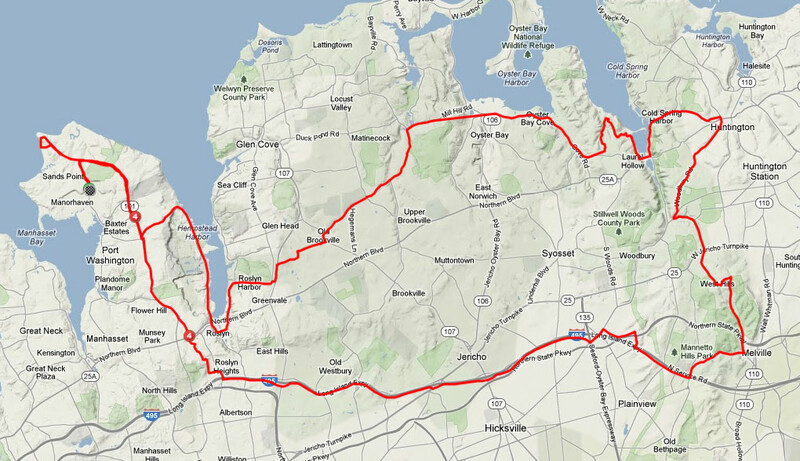 A hilly day that takes us out around the Huntington area. About 3000 ft. of climbing and around 50 or so miles. The ride takes us out of Port Washington on to the service road, pulls us up and out towards Huntington. That’s when the climbs start. We make our way up through Cold spring harbor, through Oyster Bay. We head back through Old Brookville and do the Chicken Valley thing. We then finish it out with the soul crushing headwinds that are always by Bar Beach and the final 7-8% climb up W. Shore Road.